The number one product that is sold in my stores and everywhere is Irish Sea Moss. This is the main product that Dr. Sebi used in his fasting and in healing his knees and in healing others. At the age of 81 he fell to his knees to prove the point. When I came to Dr. Sebi's website I was disabled and had been that way for two years. I could not walk or leave my home. So I started ordering products from Iherb and Amazon. Slowly, but surely I had a stocked kitchen. I started creating Dr. Sebi Products in my own kitchen and have written on the subject much. I showed everyone how they could make the products in bulk and save money too. 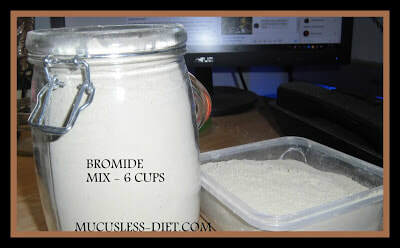 One of the easiest products to make was the Bromide mix which was 50% Irish Sea Moss Powder and 50% Bladderwrack. After taking this product for a very short time, I noticed my leg repairing and my pain was gone. The broken cartilage in my knee was totally repaired. I could go outside, go to the store and not have a ladder when I got into the car or van. I combined the Sea Moss preparation and added it to my smoothies and started fasting too. I did 4 different short fasts from 7 days to 12 days. You can Read the Joy of Fasting and learn more about fasting. Before long I could say I was totally cured. 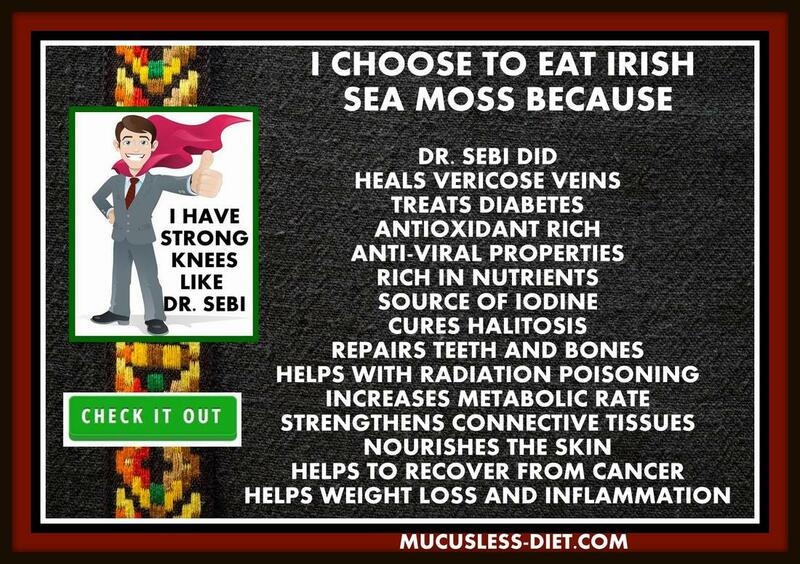 While None of us can say for sure which herb cured us, from what Dr. Sebi said, I will say the Sea Moss did. DR. SEBI DEMONSTRATES WHY HE DRINKS SEA MOSS IN THE MORNING - 1 OF THE MOST VIDEOS HE MADE AT AGE 81. HE WOULD DIE ON AUGUST 8TH, 2016. YOU CAN SEE HOW STRONG HE WAS. HE WAS NOT A WEAKLING LIKE THE PAPERS POSTED. HE WAS STRONGER THAN AN OX. DR. SEBI USE TO MAKE A SEA MOSS DRINK BEFORE HE WENT TO SLEEP. HE WOULD USE HEMP MILK AND HE SAID YOU CAN ADD SOME VANILLA IF YOU WANT AND HE ADDED IN THE SEA MOSS AND LOTS OF AGAVE SYRUP. HE SAID HE LIKED HIS VERY SWEET. NOW SOME WILL ADD IN THE BROMIDE POWDER OR THE SEA MOSS POWDER ALONE. YOU BRING THE MILK TO A BOIL AND THEN REMOVE FROM THE STOVE TO COOL AND DRINK. HE HAD THIS EVERY NIGHT. BUT IN THE VIDEO HE SAID HE HAD THIS DRINK IN THE MORNING. Did you know you can make the famous Dr. Sebi Bromide Mix for pennies on the dollar. Yes, I made the above 6 cups of mix for only $39. That means I have enough powder to make 1272 capsules of powder for a fraction of the cost. I personally take 1 tablespoon daily and if you want to follow my protocol you have enough powder for 96 days or at a cost of 41 cents a day. Unbelievable huh? If you live in the US you can find companies who ship for free. If so, then all you need is the products. Now one member told me yesterday that by adding in burdock powder you can get the other 10% of nutrients the sea moss is lacking. Sea Moss contains 92 of the 102 nutrients needed by the body. In that case we may increase the volume by one cup. All you need is Irish Sea Moss and Bladderwrack. You need 50% of each. So if you buy one pound of Irish Sea Moss, you will need one pound of bladderwrack. If you buy 4 ounces of Irish Sea Moss, you need 4 ounces of bladderwrack. Mix together in a bowl and then either put in capsules or place in your smoothies. You can shop at my store for the best deal.s. WHICH IS BETTER POWDER OR RAW IRISH SEA MOSS? The question of the hour is which Irish Sea Moss is better? 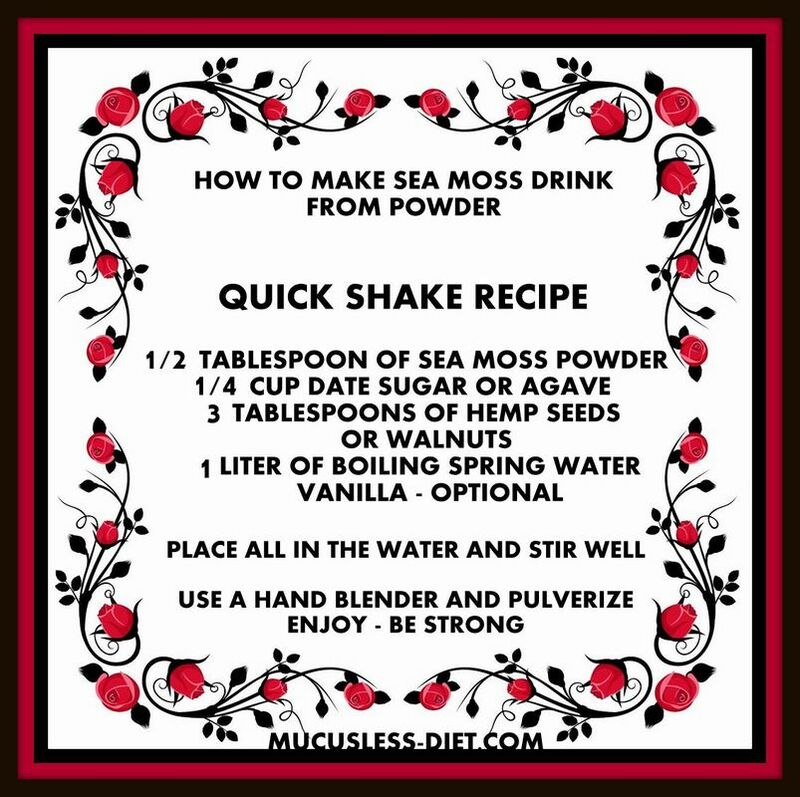 There are many many types of Sea Moss available and some Kings prefer the raw where you make the gel and others like me prefer the powders. The powder will last forever or until the expiry date is up. With the powder I can mix it into any smoothie or herb mixture and even the Sea Moss Drink and I am set to go. I tried the different Sea Moss products available and the best results I got was with the Best Botanicals Irish Moss Powder. While it is not cheap, I am able to walk again by using this product. The problem is, it is constantly out of stock, being so many purchase the product. So when this product is available buy it in multiple quantities. The gel is fresh and some prefer that more. The gel, however will last just a few weeks if kept in the refrigerator. Making the gel is also time consuming. You can buy the sifted and chopped sea moss from Starwest Botanicals and soak the moss and then change the water every 3 days and keep in the refrigerator. This way is fairly easy to do. I thought the easiest way to do this was with a video. It is quite simple to do actually but takes several steps.